Four Layer Rebound (4LRTM) cushions and stabilizes the foot for all-day comfort and performance. Order your Ariat® performance Western Boots and have them delivered right to you! 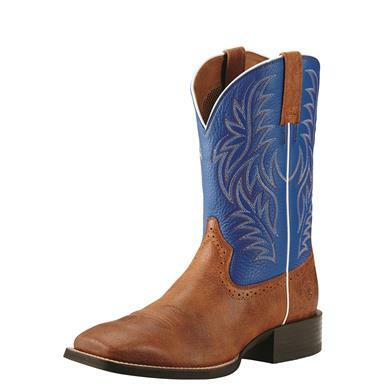 Ariat Mens Sport Western Boots is rated 4.8 out of 5 by 33. Rated 5 out of 5 by Raleigh from Nice Boot Standard fit and finish by Ariat. Very comfortable, great looks, great traction and break in really fast. 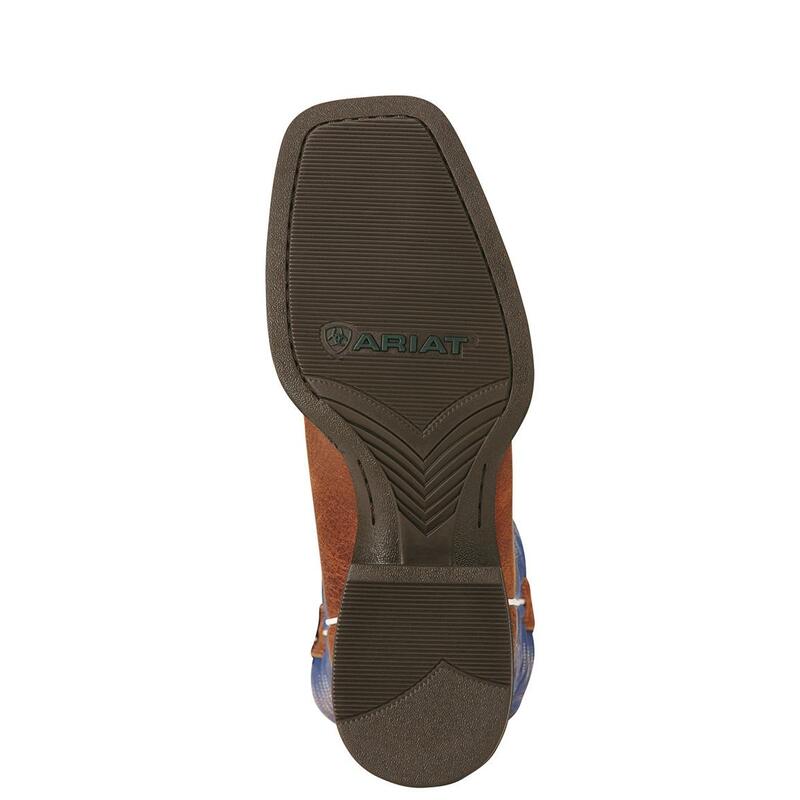 Rated 5 out of 5 by GP007 from Loving Ariat! Just in today! I've been a Justin's boots guy for a long time as far as my day time wearers. It was time for new boots and since I started wearing Ariat jeans about a year ago, (which is btw, now my favorite brand of jeans!) I figured I'd give their boots a shot. Right out of the box I could tell these Ariat boots are well made. The website pics don't do them justice either as these boots really look nice! I know my cowboy boot size and these were true to size. When I put my feet in, the unmistakable "plop" of a perfect fit was instantly noticeable. Obviously time will tell the whole story but so far I'm glad I got em! Rated 5 out of 5 by Meeks01 from My first pair of Western boots love them. Asked a few guys around what a good quality boot to purchase for the first time and ariat it was. Highly recommend leather upper and lower going to buy another pair love at first sight!!!!! Rated 5 out of 5 by Rene17 from Great boots Very comfortable fit. I spend all day on my feet and the boots keeps my feet feeling great! Rated 5 out of 5 by RP Grant from Perfect fit, well made finished boot I ordered this boot online, delivery was two days, earlier than I expected expected. Fit and finish are excellent. Runs WideA rating of 1 means too narrow. A rating of 3 means too wide. A rating of 2 means normal width. This items average rating is 1.6.